still can't play the new blackmirror on netflix though. time to ditch it me thinks! Have no doubt, the decision to ditch it (Netflix) is already pretty much set in concrete. I've configured buttons the same for Mediaportal when watching a recording or live/timeshifted TV, up arrow 4 minutes forward (standard advert) , down 4 minutes back, right arrow has different times depending on how many times pressed such as 15 second, 30 seconds, 1 minute, 3, 5 etc, left arrow same but backwards. All can be configured. *my lounge pc is an internally updated Elenox Artisan originally purchased in 2006. Just had an email from netflix, it would appear my Windows 10 PC using the official Windows store Netflix app is also not compatible - what I had started playing earlier was something telling me it wasn't compatible, I just didn't let it play long enough to realise. Sounds like Mediaportal and Myth share a lot of common ground. Can’t actually remember what drew me to myth. Think I was just surfing one day and came across the concept of an open source media platform/PVR. I had time on my hands and thought it woukd be fun, so bought the bits to build a Linux PC and went from there, evolving into a separate back end server with additional front end upstairs, and drawing Cat 5 cables all through the house. In years immediately thereafter, it became a bit of an all-consuming obsession, learning how to build, how to configure, becoming something of an expert in various intricacies of video rendering, frame rates, interlacing, etc. Then came HD and Blu Ray, then 5.1 audio (which required software patching to overcome an error in motherboard pcb tracking!). I’ve laid it to rest as of about 4 years ago, still use it dailly, but already forgotten most of what I knew. Time will come, probably not to far off, to power it all off for once and for all in favour of modern tech, but it has certainly been an enjoyable endeavour. Its certainly can be hard work keeping everything up to date. I originally started with the Elonex in late 2006 running Windows Media Centre 2005 IIRC, then moved to the beta of Vista with TV pack, then Windows 7, in 2011 built my WH server 2011 with quad tuner. Prior to MS dropping media centre I moved to Mediaportal as it was relatively straightforward to set up. I tend to prefer to use either my games console (mainly PS4 Pro) or a Roku. 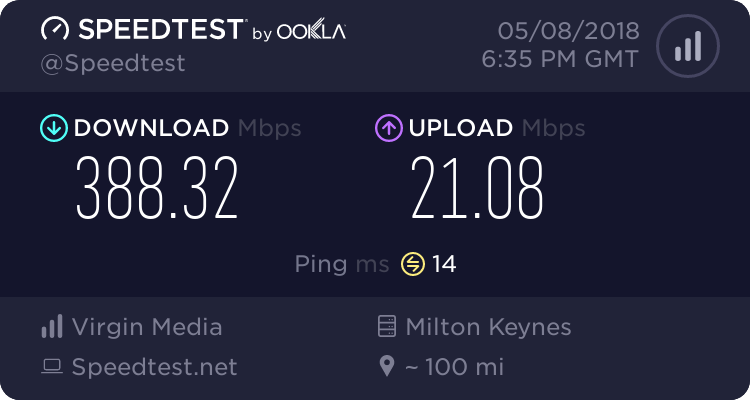 All the TV versions of the apps, iPlayer, Amazon Prime (I don't have Netflix) seem to all be a bit flakey, especially if I use a wifi connection. I have Roku downstairs and games console upstairs. The app that annoys me the most in C5's app Demand 5. It's constantly buggy when it comes to adverts. One of the nice things about C5 for me is, there are no ads shown. The program fades to title, ready for ads, then fades back again and carries on. What a fantastic bug. However, all things are not perfect. It was perfect for years then They seemed to update the Firefox OS version a few months ago and ever since, it has a habit of crashing at random intervals. And each time it crashes, it restarts from beginning of programme. Drives me up the wall. Unlike Netflix of course, I do not pay for C5, so cannot grumble too much. On my PC's it works in both Chrome and Firefox. 7LM does your TV have an internet browser? Think so, but I don’t think I have ever used it. One annoyance I have found on our new JVC TV is that when creating a favourite list it renumbers the channels so for example BBC4 is no longer 8 but 7 and so on when there is a gap. Our old non smart TV did not do this but retained the normal channel numbers. This makes no sense to me as we often use the direct numbers as per the details in the TV magazine listings. JVC TVs are no longer the brand they used to be. the JVC name was sold of to the cheap chinese manufacturers some time ago. they are made in the same factory as all the other cheap brand TVs with a JVC badge stuck on it at the end. they come with cheap build quality, cheap components, and cheap (and often useless) software. if you want a decent TV these days you need to stick to 3 brands - LG, Sony and Samsung. I would have stuck to those brands if I could have found a TV of the correct size available locally. I dont buy this stuff on the net! that's a strange limitation to put on yourself, but ho-hum! Personally I have no hesitation recommending Panasonic, as long as you don’t need Netflix. The only nuisance is, despite powering up and displaying a picture quite quickly, it takes a short while (maybe 10-15 seconds) before it starts responding to button pressed. I guess it’s just waiting for some background process to start up. We’ve an LG upstairs which always performs ok, but the remote barely survived the warranty period before getting flakey. Despite disassembly and cleaning, now a mere 8 years old, hardly any of the buttons still work. Now limping by on a third party remote, not a perfect match, but good enough to get by. I have Never had an issue with Panasonic or Sony remotes. If you go LG, and you plan on using the TV internal speakers, listen carefully to the sound before buying. Some LGs are ok, others are horrible, tinny, like listing to classical music on a 1960s pocket radio. I should have added that the new one was needed a few days before xmas initially so no time to get one on the net. Also I do like to see what I'm buying with something like this to make sure it is good enough, I dont trust online reviews - too many fake reviews.